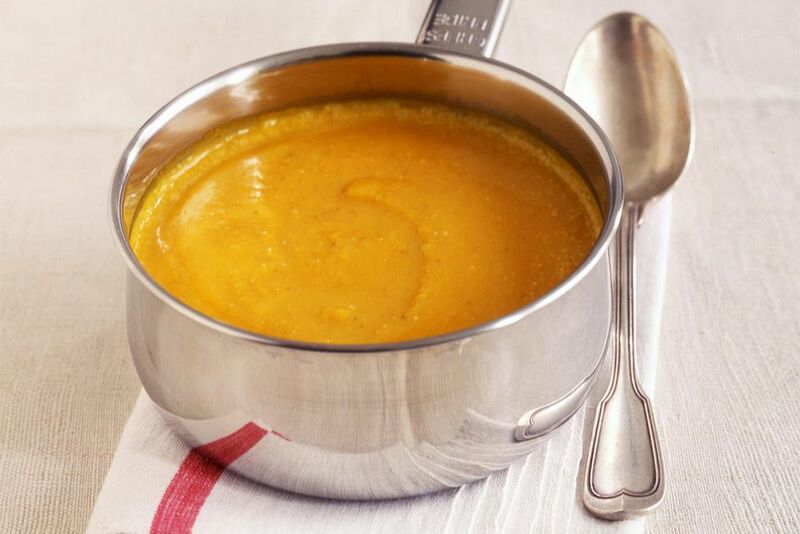 During the fall and winter months, there are few things as comforting as a bowl of savory-sweet pumpkin soup. Served with dairy-free crackers or bread, this is a hearty, warming meal for lunch or dinner. For best results, use a non-dairy milk alternative that contains carrageenan, which will help keep the liquid stabilized during heating. In a medium-large stock pot (3-5 quarts), heat the olive oil over medium-high heat. Add the onion and garlic, and cook for 3-4 minutes, or until the onion is translucent. Add the leek, apple, sugar, spices, and salt, and cook for 1-2 minutes, stirring constantly until the leek is softened. Add the vegetable broth and water. Bring the mixture to a boil and then turn down to a simmer for about 15-20 minutes, or until the apple pieces are very tender. Stir in the pumpkin puree. Working in batches, puree the mixture in a blender until smooth, adding a bit of the coconut milk and almond milk to each batch until all has been added. Return the soup to the pot and heat over low heat to the desired temperature. Add salt and pepper to taste. Garnish with a sprinkle of cayenne pepper and fresh herbs or your choice. This recipe is suitable for dairy-free, egg free, and vegan diets, but as with any recipe intended for persons with allergies or dietary restrictions, make sure to read all nutritional labels carefully to make sure that there are no hidden dairy-derived ingredients (or gluten, egg, or wheat ingredients, if these apply to you).